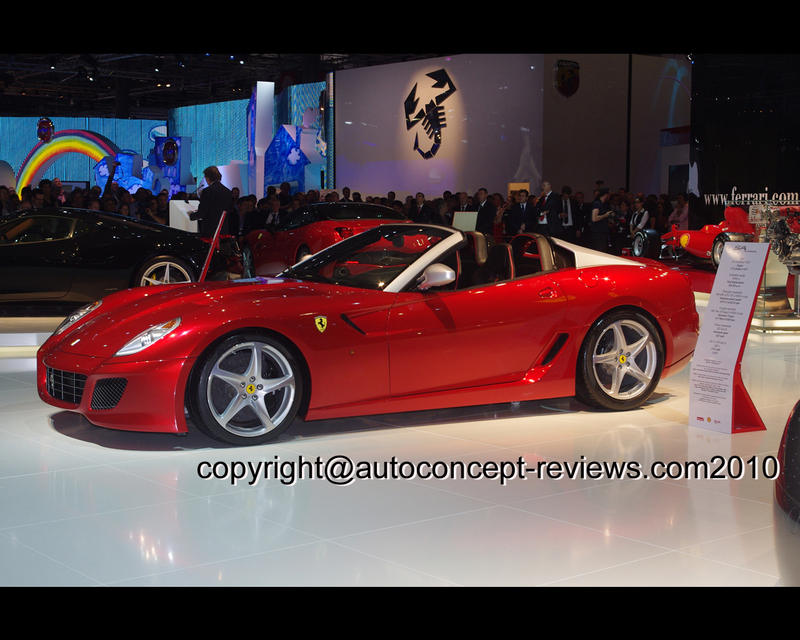 At the Paris Motor Show 2010, Ferrari unveiled the SA Aperta, a limited edition of just 80 cars using the HELE (High Emotion Low Emissions) system that enhance driving pleasure while reducing environmental impact. HELE incorporate the stop&start system (restarts the car in just 230 milliseconds), intelligent engine fan and fuel pomp control, gear shifts that adapt to driving style. These solutions combine to reduce emissions. The SA Aperta is a roadster developed to celebrates 80th years of existence and pays homage to Sergio and Andrea . 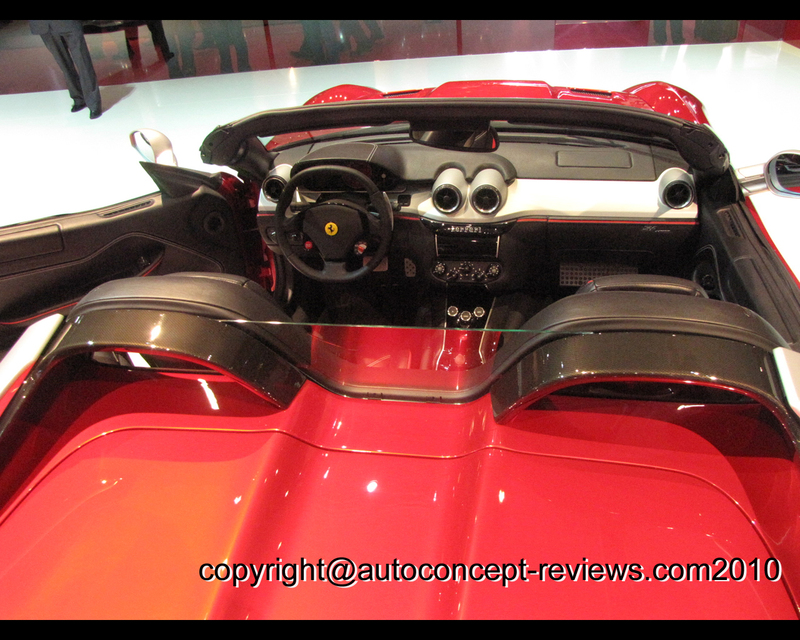 This new concept is an open-top interpretation of the Ferrari 599. 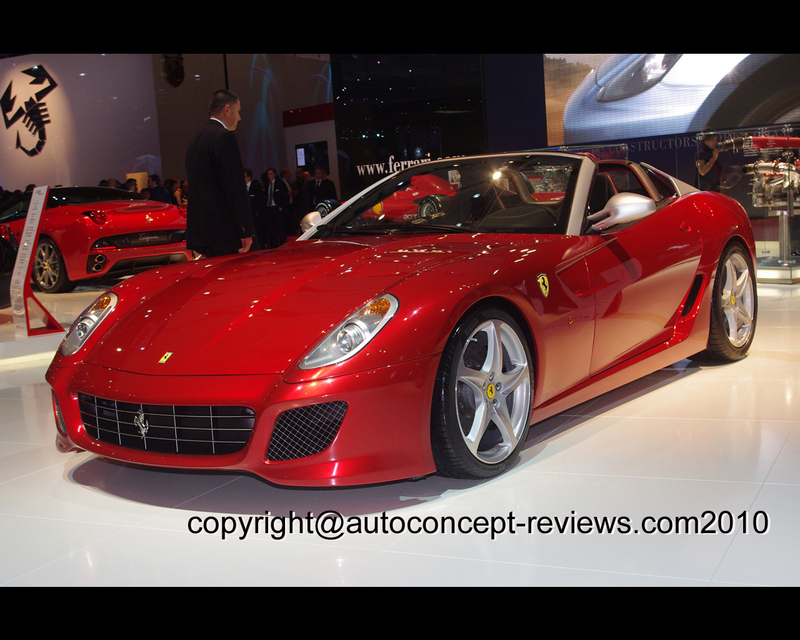 The Ferrari SA Aperta features a lowered windscreen combined with low height to make the car lower and sleeker. Details and design of the car were studied by Ferrari Centro Stile in collaboration with Pininfarina. The SA Aperta is optimized using quality materials such as leather, carbon fibre and Alcantara. The Ferrari SA Aperta is propelled by a V12 Engine producing 670 CV at 8250 rpm developing a maximum torque of 620 Nm at 6500 rpm. Gears changes are effected in just 60 milliseconds. To back up the engine performance the chassi has been redesigned to guarantee the same structural rigidity as the berlinetta without adding weight.